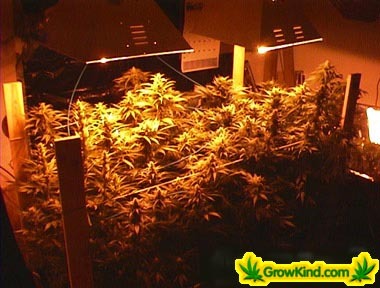 GrowKind has been helping people learn to grow marijuana and then share pictures of their marijuana gardens since 1997. This site was born out of a love for Marijuana. We are excited now that the US is starting to realize that this wonderful plant has been unnecessarily repressed for far too long. We welcome you on your journey of discovery of this wonderful plant. Our featured attraction is our marijuana pictures featuring user submitted pictures from marijuana gardens around the world. While you are here try out some marijuana recipes and be sure to check out our forum for marijuana growing information. Be sure to spare your lungs when enjoying the bounties of your harvest and pick up a vaporizer from VaporWarehouse. They have a great selection of all the best portable vaporizers for marijuana including Magic Flight, Pax, Davinci, Haze and more!